World Polio Day is a special day where we raise public awareness of the ravages of polio as well as raise public awareness of Rotary’s End Polio Now campaign. What is so special about the colour purple? 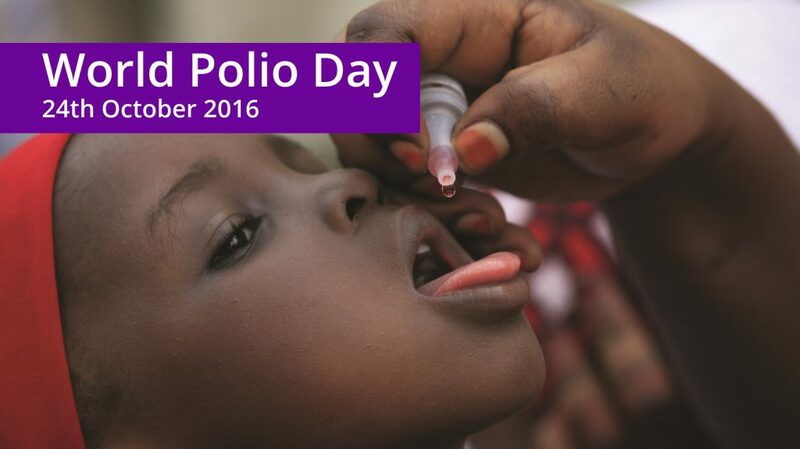 Purple is the colour that is chosen to indicate when a child has been vaccinated against Polio. When a child has been given the Polio vaccine, his or her little finger is coloured purple. What I can do to take part? Join the World Polio Day Facebook event page. Whatever you plan on doing we would love to hear what you are have planned. Why not get in touch with us on Twitter or Facebook.